Born in Lytton in 1959, Charles has always had an interest in art but never dreamed he would be carving in soapstone. 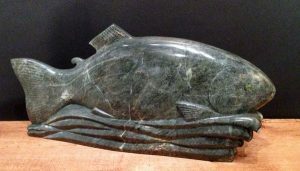 In 1995 he learned some techniques of carving soapstone from Native and Inuit carvers. Amazed and surprised with his first carvings he began a new career as a sculptor. As well as carving the beautifully coloured soapstone from around the Nlakapumux territory, he has begun to use alabaster. The gold inlay that Charles uses in some of his pieces he collects himself from the Thompson and Fraser rivers. Charles’ love and respect for nature has provided him with the inspiration to carve representations of wildlife. 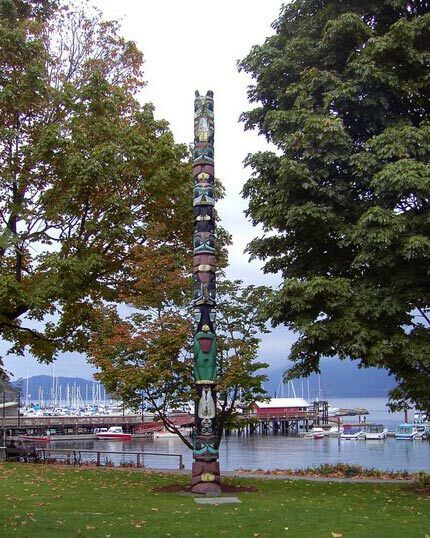 He also has an interest in carving his version of the ancient stone artifacts made by his ancestors. Charles is happy to be one of the first in a soapstone carving revival by the Nlakapumux.